My grandmother was a storyteller. Her life was an adventure, and she brought us up on stories; whet our imaginations with wild tales of breakfasting with gypsies, boarding school ghosts and nudist teachers, of the Bangalore bazaars, polo ponies, Maharajahs, tigers, pre-war puddings, lavish dances, train journeys, and revolutions. These wild tales shaped our imaginations, drove our wanderlust. She was a creator. She made spaces for people to be in, collected eclectic art, created conversation pieces and conversation, grouped objects with unique knack and confidence, made forlorn and forgotten houses into something vibrantly living again, where people came together amidst a constantly-changing collection of wonderful things. She taught us about the beauty and the history of things, feeding our creativity, bringing out the artistic in all of us. 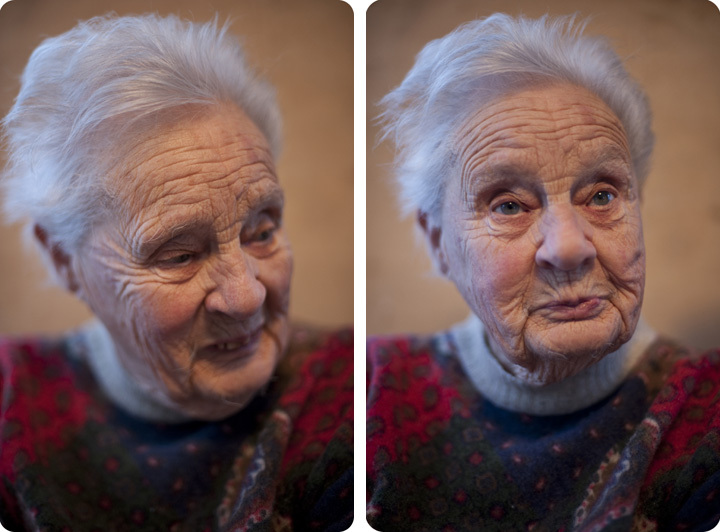 Granny was a personality: a commenter on politics, on people, on architecture and society. She had a subversive, acerbic wit, a dry, cynical take on both the past and on change. She was outrageous and unapologetic in her opinions, piquing our curiosity, influencing how we see and think about the world and inspiring independence in us. She was glamorous, fearless, strong, and generous. She gathered people around tables. She had a flair for cooking and entertaining; she brought people in to the family, fed them curries and cold collations, and looked after them in ways they needed badly. She stood behind us through our projects and dreams. She was one of my greatest supporters, and even as she was winding down she unfailingly asked me, every time I called, if I was writing my experiences and adventures down, keeping me on track, even from a distance. We brace ourselves in advance for the loss of our grandparents, but even things you’re expecting can tear your heart out; there’s the emptiness where a person was and is no longer. I will miss her dreadfully—I already do—but I do not doubt that she will continue to shape me. I’d like her to know that I’m writing this down.